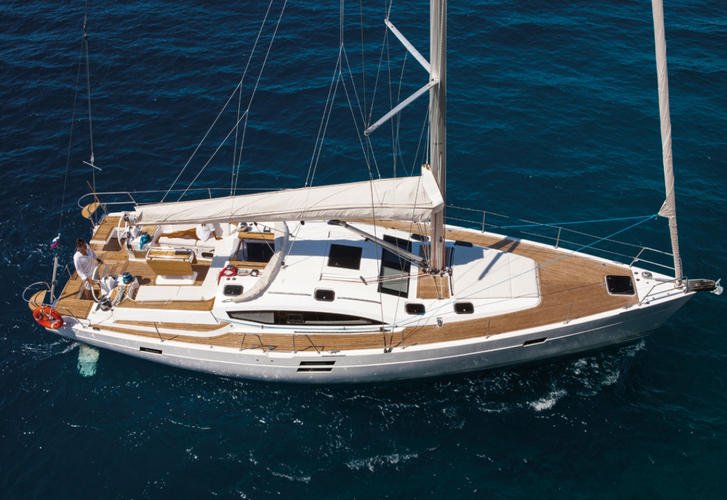 Vessel Elan Impression 50 called Alboran Mai-Tai has been built in 2015. Alboran Mai-Tai is registered for 12 pax. Layout of the yacht is 12. Elan Impression 50 Alboran Mai-Tai has 5 bedrooms. Alboran Mai-Tai is 15.20 meters long and 4.68 m wide. Draft is 2.23 m. Sailboat's equipment involves : Mainsail with lazy jack, Bimini top, Bow thruster, Radio / cd player, Dinghy, Teak deck, Gps plotter, Anchor electric windlass. . Caution has value 2500.00 EUR. Choose our offer and enjoy your vacation on the deck of Alboran Mai-Tai.